Do Bears Fish Brooks Falls in September? In September and October, Bear 480 Otis makes a living from his office in the far pool at Brooks Falls, catching unsuspecting salmon that swim within reach. This year in particular, several other bears have joined him at the falls and all are fishing more or less successfully there. Is it normal to see many bears fishing at Brooks Falls in September? It can be. Bears recognize opportunity and demonstrate adaptability when conditions change. 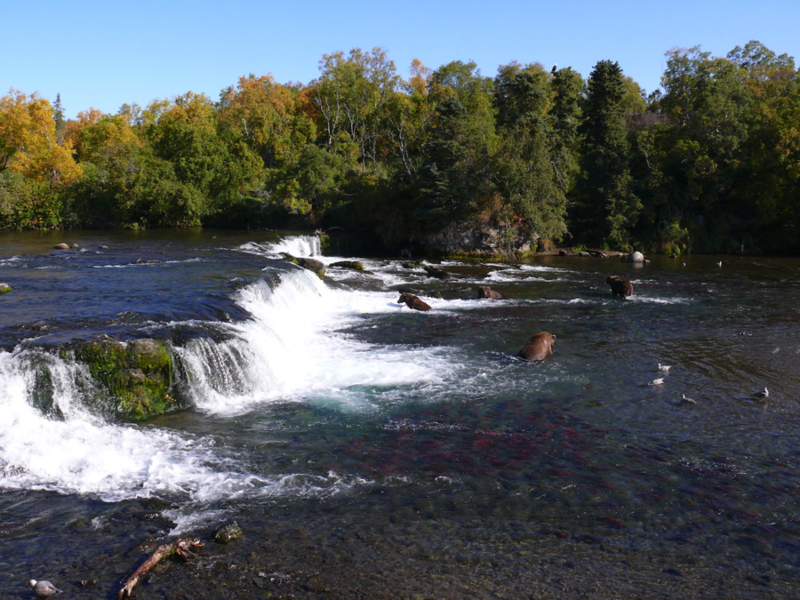 As a general rule, few salmon attempt to migrate beyond Brooks Falls in September and October. Most of the sockeye salmon downstream of the falls have reached their spawning site by this time and are not driven to migrate further. That’s most likely where they were born and that’s most likely where they will spawn. After spawning in the river, salmon weaken and begin to die, drifting listlessly downstream where their carcasses collect in slack water areas of lower Brooks River. (Read more about salmon in Brooks River.) In September and October, bears find easy fishing in the lower river as they scavenge the dead fish. Silver (also called coho) salmon migrate into Brooks River later than sockeye, usually in August. 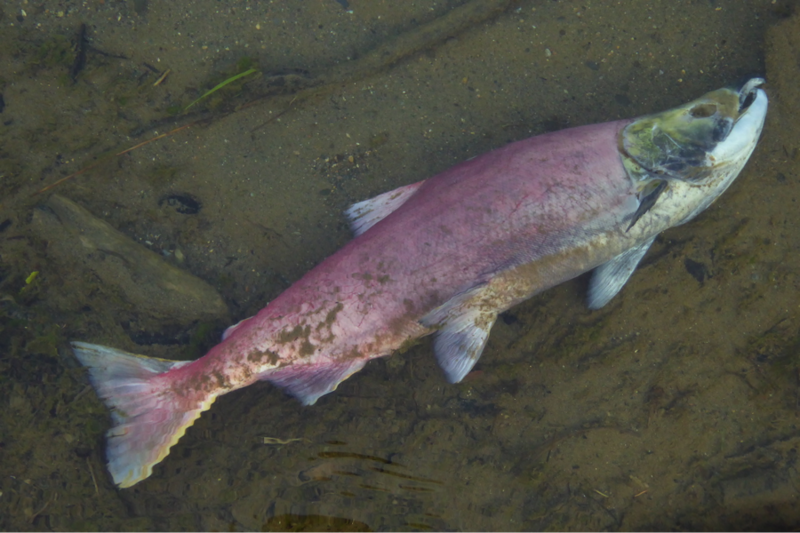 In most years, a few hundred to a few thousand silver salmon might move into the river*. Silver salmon are usually larger than sockeye and since they have arrived more recently, many are richer in calories than the spawned-out sockeye. 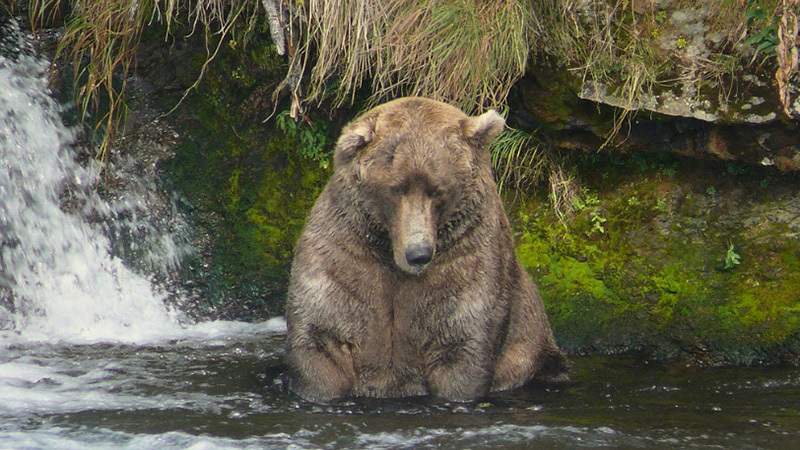 If enough silver salmon or fresher sockeye salmon move about the pools below Brooks Falls, then a few of the larger, more dominant bears** may spend considerable time fishing at the falls as opposed to scavenging the lower river, recognizing the changes and opportunities that more fresher salmon create. How often have I seen bears fishing at Brooks Falls in September? Bears have fished there every year since 2007, my first season working as a ranger at Brooks River. 480 Otis has been a mainstay, but in most years one or two bears fished there regularly at most, while the vast majority scavenged carcasses downstream. This September, a few more bears have successfully fished the falls than usual, but this number is not unprecedented. In September 2009, for example, as many as six bears fished the falls at once. Bear viewers in September 2009 were able to see many bears fishing at Brooks Falls. Most bears find easy fishing conditions in lower Brooks River during September, and salmon carcasses will only become more abundant over the next couple of weeks so you won’t see bear numbers at the falls rival those of July. Still, a few of the biggest bears like 32, 480, 747, and 856 recognize they have an opportunity, one that allows them to catch fresher, more energy rich fish and perhaps be better prepared to weather next year’s challenges. I can’t believe the water level.What a difference. Pingback: senegal avec carte d'identit?? Pingback: Striptease - Stripster huren? Huur de beste Stripster van Belgi? Pingback: The best ways to get started in the cryptocurrency market today.